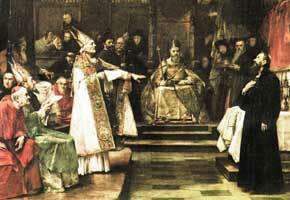 Jan Hus (right) at the Council of Constance, where he was excommunicated and declared a heretic. Excommunication is a religious censure used to deprive or suspend membership in a religious community. The word literally means out of communion, or no longer in communion. In some churches, excommunication includes the spiritual condemnation of the member or group. Other censures and sanctions sometimes follow excommunication; these include banishment, shunning, and shaming, depending on the group's religion or religious community. Excommunication is the most grave of all ecclesiastical censures. Where religious and social communities are nearly identical, excommunication is often attended by social ostracism and civil punishment, sometime including death if the associate crime is serious enough. In Christianity, the Roman Catholic Church especially retains the practices of excommunication, as do several other denominations. The church maintains that the spiritual separation of the offender from the body of the faithful takes place by the nature of the act when the offense is committed, and the decree of excommunication is both a warning and formal proclamation of exclusion from Christian society. In Catholic tradition, those who die excommunicated are not publicly prayed for; but excommunication is not equivalent to damnation. Excommunications vary in gravity, and in grave cases readmission may be possible only by action of the Holy See. Excommunicates are always free to return to the church on repentance. Protestant churches have generally abandoned excommunication, with some exceptions. In Islam, the Koranic law of takfir can deem an individual, or group, kafir, meaning non-believers. In Judaism an individual may be excluded from Jewish religious society through the herem, a solemn ritual equivalent to excommunication. Hinduism and Buddhism generally have no concept of excommunication, although some sects do exclude members for various violations. The Biblical basis of excommunication is anathema, often translated as "accursed." The references are found in Galatians 1:8—“But even if we, or an angel from Heaven, should preach to you a gospel contrary to what we have preached to you, he is to be anathema!" Likewise, 1 Corinthians 16:22 sates: "If anyone does not love the Lord, he is to be anathema." Jesus, in Matthew 18:17, reportedly taught that those who repeatedly offend others should be treated as "Gentiles or tax collectors," who were excluded from Jewish fellowship. In Romans 16:17, Paul writes to "mark those who cause divisions, and avoid them." Also, in 2 John 10, "the elder" instructs that one should "not receive into your house [assembly] those who bring not the doctrine of Christ." Paul takes a particularly hard line toward those Christians who practice sexual immorality. 1 Corinthians 5:11 states: "You must not associate with anyone who calls himself a brother but is sexually immoral or greedy, an idolater or a slanderer, a drunkard or a swindler. With such a man do not even eat." Excommunication is the most serious ecclesiastical penalty levied against a member of the Roman Catholic Church. The Church has an extensive history of the uses of excommunication, especially during the Middle Ages. Popes and archbishops used excommunication as a weapon against high ranking officials and kings who fell out of favor with the Catholic Church. With the rise of the idea of separation of church and state, excommunication no longer has any civil effect. An analogous penalty, interdict, arose as a form of excommunication of a whole area, barring celebration of the sacraments in a town or region. Excommunication bars a person from receiving the Eucharist, among other penalties. Prior to the 1983 Code of Canon Law, there were two degrees of excommunication: vitandus (shunned, literally "to be avoided," where the person had to be avoided by other Catholics), and toleratus (tolerated, which permitted Catholics to continue to have business and social relationships with the excommunicant). This distinction no longer applies today, and excommunicated Catholics are still under obligation to attend Mass, even though they are barred from receiving the Eucharist or even taking an active part in the liturgy (reading, bringing the offerings, etc.). Today, excommunication is a seldom-used punishment to discipline unrelenting defiance or other serious violations of church rules, especially by those who are accused of "spreading division and confusion among the faithful"—meaning, in practice, that the option of excommunication is more likely to be enforced when the disobedient Catholic is a visible and presumably influential public figure (such as a politician), but only rarely in the cases of non-public figures. Excommunication is characterized as not merely a "vindictive penalty" (designed solely to punish), but it is always a "medicinal penalty" intended to pressure the person into changing their behavior or statements, repent, and return to full communion. Divorce is not grounds for excommunication; however, divorce and remarriage may be. Excommunicated persons are barred from participating in the liturgy in a ministerial capacity (for instance, as a reader if a lay person, or as a deacon or priest if a clergyman) and from receiving the eucharist or the other sacraments, but is normally not barred from attending these (for instance, an excommunicated person may not receive Communion, but would not be barred from attending Mass). Certain other rights and privileges are revoked, such as holding ecclesiastical office. The excommunicant person is still considered a Catholic, as the character imparted by baptism is held to be indelible. In the Middle Ages, formal acts of public excommunication were accompanied by a ceremony wherein a bell was tolled (as for the dead), the Book of the Gospels was closed, and a candle snuffed out—hence the term "to condemn with bell, book and candle." Such public ceremonies are not held today. Only in cases where a person's excommunicable offense is very public and likely to confuse people—as in an apostate bishop ordaining new bishops in public defiance of the Church—is a person's excommunicated status even announced, and that usually is done by a simple statement from a church official. Excommunication is usually terminated by a statement of repentance, profession of the Creed (if the offense involved heresy), or a renewal of obedience (if that was a relevant part of the offending act) by the person who has been excommunicated. Offenses that incur excommunication must be absolved by a priest or bishop empowered to lift the penalty. This is usually the local ordinary (bishop or vicar general) or priests whom the local ordinary designates (in many dioceses, most priests are empowered to lift most excommunications otherwise reserved to the bishop, notably that involved with abortion). In the Orthodox Church, excommunication is the exclusion of a member from the Eucharist. It is not expulsion from the Church. This can happen for such reasons as not having confessed within that year; excommunication can also be imposed as part of a penitential period. 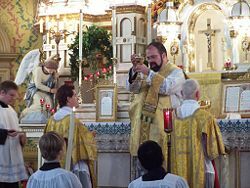 It is generally done with the goal of restoring the member to full communion. 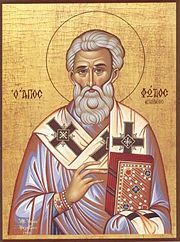 The Orthodox Church does have a means of expulsion, by pronouncing anathema, but this is reserved only for acts of serious and unrepentant heresy, not disobedience or sins that do not involve heresy. Even in the case of anathema, the individual is not "damned" by the Church, but is instead left to his own devices, outside the grace of the Church. The implication, however, is that the individual will indeed face damnation as a result. 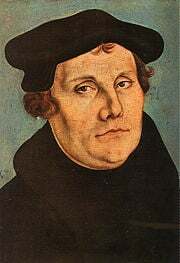 Martin Luther was himself excommunicated by the Roman Catholic Church. Lutheranism also has an excommunication process, but some denominations and congregations no longer use it. Many Lutheran denominations operate under the premise that the entire congregation (as opposed to the pastor alone) must take appropriate steps for excommunication, and there are not always precise rules, to the point where individual congregations often set out rules for excommunicating laymen (as opposed to clergy). For example, churches may sometimes require that a vote must be taken at Sunday services; some congregations require that this vote be unanimous. The Church of England has no specific canons regarding how or why a member can be excommunicated, though there are canons regarding how those who have been excommunicated are to be treated by the church. Excommunication is seen as an extreme measure and rarely used. For example, a clergyman was excommunicated in 1909 for having murdered four parishioners. The Episcopal Church in the USA is in the Anglican Communion, and shares many canons with the Church of England which would determine its policy on excommunication. No central records are kept regarding excommunications, since they happen rarely. In May 2000, a man was excommunicated for "continued efforts to attack this parish and its members" after he published critical remarks about the church and some of its members in a local newspaper, many of them about the pro-homosexual stance the church had taken. [Excommunication] rebukes and animadverts upon his manners; and although it... punishes, it is to bring him to salvation, by forewarning him of his future doom. If it succeeds, reconciliation and restoration to communion are ready to be given... Hence, though ecclesiastical discipline does not allow us to be on familiar and intimate terms with excommunicated persons, still we ought to strive by all possible means to bring them to a better mind, and recover them to the fellowship and unity of the Church: as the apostle also says, "Yet count him not as an enemy, but admonish him as a brother" (2 Thessalonians 3: 15). If this humanity be not observed in private as well as public, the danger is, that our discipline shall degenerate into destruction. Jakob Ammann, founder of the Amish sect, believed that the shunning of those under the ban should be systematically practiced among the Swiss Anabaptists as it was in the north and as was outlined in the Dordrecht Confession. Ammann's uncompromising zeal regarding this practice was one of the main disputes that led to the schism between the Anabaptist groups that became the Amish and those that eventually would be called Mennonite. 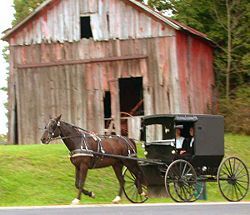 Recently more moderate Amish groups have become less strict in their application of excommunication as a discipline. In the Mennonite Church, excommunication is rare and is carried out only after many attempts at reconciliation and on someone who is flagrantly and repeatedly violating standards of behavior that the church expects. The practice among Old Order Mennonite congregations is more along the lines of Amish. The Hutterites also use excommunication and shunning as a form of church discipline. Since Hutterites have communal ownership of goods, the effects of excommunication can impose a hardship upon the excluded member and family leaving them without employment income and material assets such as a home. The Church of Jesus Christ of Latter-day Saints practices excommunication as the final penalty for those who commit serious sins. According to the Church Handbook of Instructions, The purposes of Church discipline are (1) to save the souls of transgressors, (2) to protect the innocent, and (3) to safeguard the purity, integrity, and good name of the Church. Excommunication is generally reserved for what are seen as the most serious sins, including committing serious crimes; committing adultery, polygamy, or homosexual conduct; apostasy, teaching false doctrines, or openly criticizing LDS leaders. In most cases, excommunication is a last resort, used only after repeated warnings. A recent (2006) revision states that joining another church is also an excommunicable offense, however merely attending another church does not constitute "apostasy." As a lesser penalty, Latter-day Saints may be disfellowshipped, which does not include a loss of church membership. Once disfellowshipped, persons may not take the sacrament or enter LDS temples, nor may they participate actively in other church meetings, though disfellowshipped persons may attend most LDS functions and are permitted to wear temple garments. For lesser sins, or in cases where the sinner appears truly repentant, individuals may be put on probation for a time, which means that further sin will result in disfellowshipment or excommunication. Jehovah's Witnesses actively practice "disfellowshipping" in cases where a member violates requirements. When a member confesses or is accused of a disfellowshipping offence, a "judicial committee" of at least three local lay-clergy, called "Elders," is formed. This committee will investigate the case and determine guilt, and if the person is deemed guilty, the committee will determine if the person is repentant. If the person is judged guilty and is deemed unrepentant, he or she will be disfellowshipped. If within seven days no appeal is made, the disfellowshipping is made formal by an announcement at the next congregation Service meeting. Appeals are granted to determine if procedural errors are felt to have occurred that may have affected the outcome. Disfellowshipping is a severing of friendly relationships between all members of the Jehovah's Witnesses and the one disfellowshipped by reasoning on 1 Corinthians 5:11. Even family interaction is restricted to the barest of minimums such as presence at the reading of wills and providing essential elder care. An exception is if the disfellowshipped one is a minor and living at home, wherein such cases the parents are allowed to continue to attempt to convince the child of the value of the religion's ways and share in family activities. After a period of time, a disfellowshipped person may apply to be reinstated into the congregation. In Islam, takfir is a declaration deeming an individual or group kafir, meaning non-believers. Takfir has been practiced usually through Islamic courts. More recently, several cases have taken place where individuals have been considered kafirs. These decisions followed lawsuits against these individuals mainly in response to their writings which some viewed as anti-Islamic. The most famous cases are of Salman Rushdie, Nasser Hamed Abu Zaid, and Nawal Saadawi. The implications of such cases have included divorcing these people of their spouses, since under Islamic law, Muslim women are not permitted to marry non-Muslim men. In some instances, these kafirs are killed in retribution for loss of faith by ardent followers. However, takfir remains a very debatable issue in Islam since Islam is not an institutionalized religion and in most nations lacks a body with the authority to make such judgments. Cherem (or herem) is the highest official censure in Judaism. Theoretically, it is the total exclusion of a person from the Jewish community. Except in rare cases in the ultra-Orthodox community, cherem stopped existing after The Enlightenment, when local Jewish communities lost their political autonomy, and Jews were integrated into the greater gentile nations in which they lived. 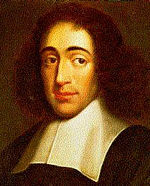 A famous case of was that of the Jewish philosopher Baruch Spinoza, on whom the cherem was imposed for his skeptical attitude toward scripture and rabbinical tradition. When it is imposed today, it affects only the narrow circle of people who pay attention to the rabbis who imposed it. Hinduism has been too diverse to be seen as a monolithic religion, and with a conspicuous absence of any listed dogma or organized church religious institution, has no concept of excommunication, and hence no Hindu may be ousted from the Hindu religion. However, some of the modern organized sects within Hinduism practice something equivalent to excommunication today, by ousting a person from the group. A similar situation exists within Buddhism and the neo-Buddhist sects. Fidel Castro was excommunicated in 1962 but later attended mass with Pope John Paul II. Gert Petrus of Namibia, for practicing "witchcraft"
Joe DiMaggio, for bigamy. Reversed in 1962. ↑ The issue of fellowship with Jewish tax collectors was contentious in ancient Judaism, with the followers of Shammai taking a hard line against all Roman collaborators, but the followers of Hillel welcoming fellowship with sinners as well as the righteous. The two Pharisaic schools were also divided in their attitude toward Gentiles, with the House of Hillel taking a more liberal line than that of Shammai. ↑ Of the handful of priests expelled from the Roman Catholic Church in modern times for doctrinal error, none was more celebrated than Boston Jesuit Leonard Feeney. Technically, the Vatican excommunicated him in 1953 for refusing to meet with the Pope, but his beliefs caused his earlier 1949 suspension by Archbishop Richard Gushing. Feeney's undoing was his hard-line reading of the formula, first proposed by Church Fathers Origen and Cyprian in the 3rd century, that "outside the church there is no salvation." ↑ Feeney Forgiven, Time Magazine. Retrieved April 21, 2008. Catholic Encyclopedia on excommunication – www.newadvent.org. This page was last modified on 9 August 2017, at 18:02.